Pizza probably isn’t what you think of as a healthy meal, but there are many tips and tricks that improve the nutritional value of this popular food. For one, the conventional crust and toppings can cause inflammation and impair digestion. This is one of the reasons why pizza is considered a “junk food” and is known to cause upset stomach and heartburn. To upgrade your pizza, all you have to do is swap out the wheat for cauliflower when making your crust and keep the dairy to a minimum. 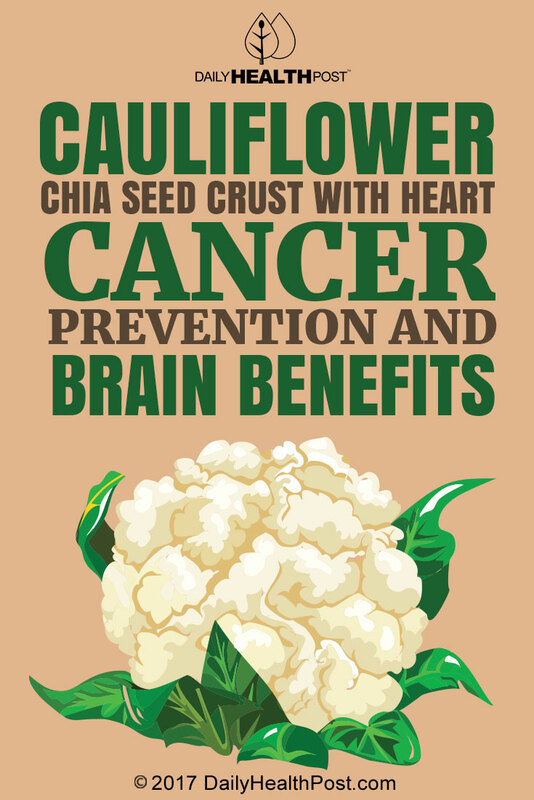 Cauliflower is a cruciferous vegetable, meaning that it contains cancer-fighting anti-inflammatory compounds like sulforaphane. These compounds are known to work against lung, breast, colon, liver, prostate and cervical cancer, having the ability to induce cell death and prevent tumor migration (1,2). The underrated vegetable also contains vitamin C, K, B6, and Folate. Other nutrients include pantothenic acid, potassium, manganese and riboflavin (3). Cauliflower is a staple for pregnant women, having the ability alters the structure and function of hippocampal pyramidal cells in the foetal brain to boost cognitive function, and improve learning and memory (4). Cauliflower also has the ability to control the bacteria in your gut to prevent bacterial overgrowth and improve digestion (5). Chia seeds, on the other hand, are protein-dense, providing a steady stream of energy as you go about your day. They are also packed with fiber, calcium, iron, magnesium, and omega-3 essential fatty acids. Chia seeds contain tryptophan, which increases satiety to improve weight management as well as phosphorous, which plays a role in the growth and regeneration of cells. Taken regularly, the seeds improve blood pressure, lower cholesterol, control blood sugar, and fight insulin resistance (6). 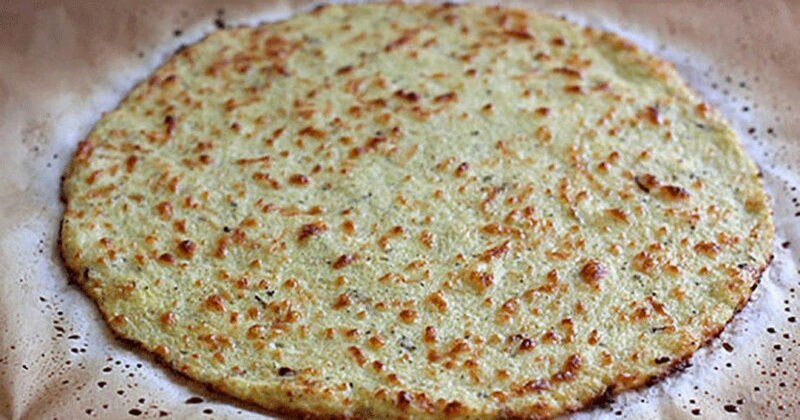 This easy crust recipe is gluten-free and vegan. Wash your cauliflower or soak it in a cleaning solution to get rid of dirt, bacteria, and pesticides. Measure out your seeds and rinse them using a fine-mesh strainer. Soak your chia seeds in water and place the mixture in your fridge 20 minutes before use. Rinse the cauliflower and pat it dry. Chop the cauliflower into medium-sized chunks and pulse in a blender until it is a fine rice-like texture. Measure 3 cups of the cauliflower and pour into a large bowl. Add the seasoning and almonds and stir until combined. Make a hole in the center of the mixture and add the soaked chia. Use your hands to mix the dough and shape it into a ball. Note that the dough will be more sticky and less firm than traditional dough. Place the dough on a well-oiled baking pan and press it down until the entire pan is covered, leaving a ridge around the rim. Cover the crust with tomato sauce and pizza toppings. Bake for 5-10 minutes, let it cool, and enjoy.